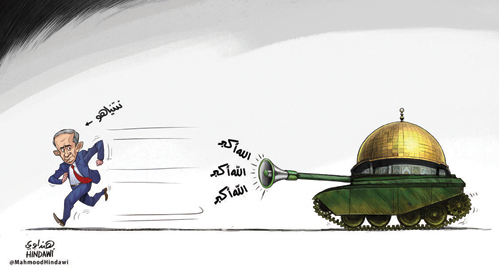 With premeditation, the coup’s militias have targeted worshipers in safe houses of God in flagrant violation of international law and other various laws, customs and legislations, which provide that it is prohibited to target buildings dedicated to religion during armed conflicts. 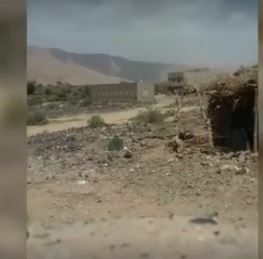 Most recently, they have hit worshipers while performing Friday prayer at the Mosque of Koufel in Marib about 90 miles to the northeast of Yemen’s militia-held capital. The targeted worshipers entered their mosque, thinking of nothing but the Friday prayer. They did not even take their weapons, as it had never come to them that mosques could be targeted by anyone. Such belief, however, has been destroyed when the coupists fired three missiles at Marib’s house of worship and killed dozens and wounded many others. 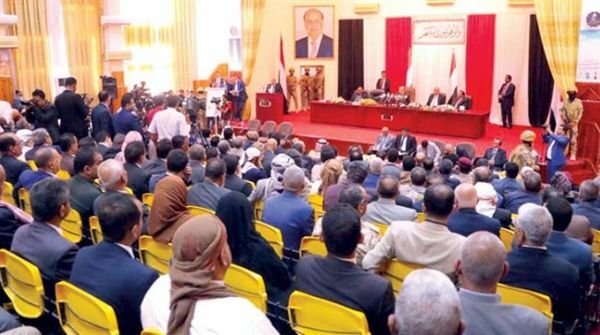 In view of the recent history of Yemen’s ex-president overthrown in 2011, who has committed a series of crimes similar to Koufel mosque’s crime, there is no hope that committing crimes will stop as long as his militias remain to do what they wish and dominate the national scene. After the deposed was injured in a blast caused by a bomb planted in the palace mosque in 2011, Saleh and his followers kept complaining in their media outlets about assault on holy sites. They compared that with what happened to founding father of the Palestinian Hamas movement, Sheikh Ahmed Yassin, when he was assassinated in an Israeli attack on 22 March 2004 while he was being wheeled out of an early Morning Prayer session in Gaza City. In fact, Ali Abdullah Saleh intentionally killed the youth of the revolution while they were praying. On 18 February 2011, armed supporters of ousted president Ali Abdullah Saleh attacked the protesters at Freedom Square in the city of Taiz while performing Friday prayer. One of the attackers threw a bomb amid worshipers, killing the first protestor of the revolution in the province, Mazen al-Buthaiji, and injured 28 others. On Saturday, 12 March 2011, Central Security Forces and militias of General People's Congress (GPC) stormed the Change Square in Yemen’s capital Sana'a at dawn during the Fajr prayer. The security forces, National Security and Political Security Forces along with armed groups of Saleh militia and accompanied by armored vehicles attacked the sit-in at the time of the prayer, firing gas bombs used for the first time in Yemen and never known by Yemenis. They claimed they used tear gas while in fact they were gas bombs causing temporary paralysis and led to choking, trembling, unconsciousness, internal bleeding and acute eye infections. At that time, even specialist doctors were unable how to deal with the affected cases. This kind of bombs caused chronic symptoms in some cases, which are still suffering so far. As a result, two young people were killed, hundred others were injured due to gases- most of them with gases- over hundred young men were subjected to live bullets while another hundred people were stoned and beaten with batons. Many others were abducted and taken to intelligence prisons where they were severely tortured. On 18 March 2011, the day called “Friday of Dignity”, the Central Security Forces and militias of the General People's Congress attacked the Change Square again during Friday prayer, committing a genocide against the Yemeni protestors by firing upon them, resulting in the deaths of 52 and forcing the regime to choose resignation with no other options. This was the most important stations of the youth revolution, which led to the collapse of Saleh’s regime. On Monday, April 4, 2011, while Taiz’s protestors were performing evening prayers in the middle of Jamal Street, Central Security and Republican Guard forces attacked them, firing live ammunition and gas bombs at demonstrators in front of the governorate building and Haudh al-Eshraf intersection. Seven of the demonstrators were killed and more than 800 were affected by gas, and 50 others were wounded by live bullets. That day became known as "Bloody Monday" for Taiz’s people. On Friday, June 3, 2011, two large explosions took place in the mosque of the presidential palace in Sana'a during Friday prayers, in which Saleh was severely wounded and some elements of his regime were killed. The story of the explosion, as reported by informed sources, is as follows: President Saleh ordered his nephew, the commander of the special guard Tariq Muhammad Abdullah Saleh, to plant five explosive devices in the inside corners of the mosque. Then, the sons of Sheikh al-Ahmer should be invited to sign a reconciliation to stop the war in the mosque where they would be killed by detonating the planted explosive devices before Saleh attend the planned meeting. 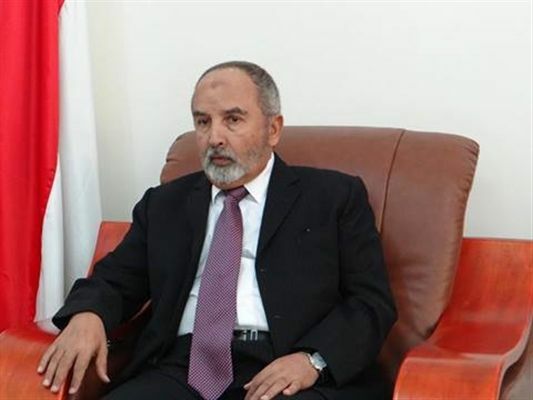 However, the targets refused to accept the plotted invitation or any other demands, except Sheikh Himiar al-Ahmar who was a member of the General People's Congress. He came because he may have thought he would not be hurt, but some members of the Special Guard hailing from Hashid tribe alerted him to the plot, and he fled immediately. When the sons of al-Ahmar failed to attend and the plan failed, President Saleh gave his orders to dismantle the bombs. Ironically, two of the explosive materials had not been removed. Later, these two bombs exploded while people came together to perform Friday prayer. It seems that one of the parties, which had coordinated with each other to implement the operation against al-Ahmar’s sons, was not notified of the cancelation of the plan. According to the source, president Saleh was not injured in the explosion itself, but when the president was taken by the ambulance to save his life from any possible plot, some of the presidential guards at security barriers suspected those on board the ambulance of exploding the bombs. Then, the soldiers opened fire on the ambulance, causing fatal wounds to Saleh and killing a large number of his private guards. Perhaps part of this account is true, but the untrue part is that has to do with burns visible on the face and body of the president, indicating that he was wounded inside the mosque. The source adds: Tariq had disappeared for two weeks while the commander of the guard Ahmed Ali, the president’s son, was searching for him, and was suspected of being the mastermind behind the incident. Another account given by the source says: rumors spread among presidential guards that when Tariq and his brothers saw that President Saleh had intended to hand over the authority by signing the Gulf initiative, they decided to get rid of him and seize control of everything as long as they were running different state institutions. Saleh did not want to charge his nephew so as not to portray the matter as a family conflict and the others would show gloat over that. Therefore, he preferred to leave matters as they are. if Saleh, the source continues, was convinced that the opposition or revolutionaries were behind the incident, he would have burnt Sana'a. On Saturday, 13 August 2011, warplanes bombarded villages of Arhab (about 30 miles to the east of Sana’a) and destroyed a mosque, which was the largest one located in the villages of sha’b. It had been the fifth mosque destroyed by Saleh's forces in Arhab. The raids resulted in a number of injuries, while dozens of houses and public facilities were damaged.The bombing also destroyed an archaeological mosque dating back to the year 1070 AH and severely damaged a new mosque in the village. On Monday, 5 September 2011, the military aircraft of the ousted president launched air strikes targeting the Great Mosque, Al-Razi Hospital and the secondary school of Ja'ar in Abyan province. 30 civilians were killed and dozens were wounded. Hundreds of residents fled to Aden and some neighboring villages. 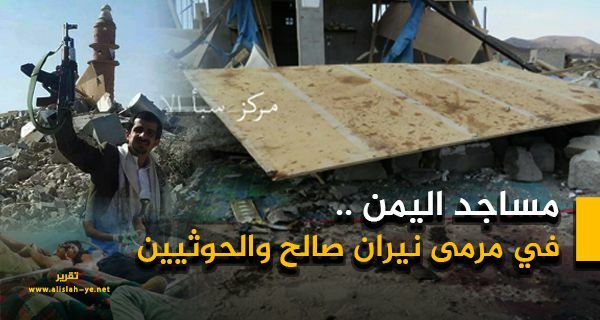 On Sunday, September 11, 2011, the Republican Guard forces fired rockets and long-range artillery, resulting in the destruction of citizens’ houses and property as well as a mosque in the village of Al-Bawa, while a resident was killed. On Thursday, 10 November 2011, Salah's forces shelled and destroyed the Al-Rafaha mosque and burned a number of houses in Zaid al-Mushaki neighborhood. On Friday, November 11, 2011, while the preacher on Friday was addressing the worshipers at Freedom Square in Taiz, Saleh's forces stationed at Al-Thawra Hospital, Jabal Jarrah and Cairo Castle bombed Freedom Square and a place of worship allocated to women. They committed a terrible massacre against the worshipers. 14 people were martyred, including three women who came for prayer, three children and seven young people. Different TV-channels broadcasted the moment when a woman called Tuffaha al-antri along with others fell dead due to a shell fired by Saleh’s forces. The scene made all over the world feel sad. Moreover, more than 63 worshipers were injured as well. When the protestors remained in their places and did not leave the square as a result of heavy shelling with heavy machine guns hitting the center of the square, the members of the Republican Guard at al-Thawra Hospital resorted to firing heavy artillery shells on the western side of the square where the women’s worship place was located. As a result, three women were killed and many others were wounded. Immediately after the prayer, thousands of worshipers in Freedom Square moved towards al-Rawda neighborhood and al-Rawda Hospital. Nevertheless, the hospital was hit by shelling, and more than 15 shells fell on al-Rawda hospital. This led the hospital’s management to transfer dozens of wounded to other hospitals. On Friday, July 14, 2015, the militias attacked the al-Sa'id mosque with two artillery shells while people were performing Friday prayer. They were directly targeted. Al-Sa'id was the largest mosque in the province, and was crowded with worshipers. Another mosque on al-Mughtaribeen Street was also bombed, and many people, including four members from one family, were killed and more than 30 were injured. On their march from Sa’ada province to Aden in the far south of Yemen, the putschists have destroyed and bombarded more than 80 mosques, some of them totally destroyed. The destruction affected also archaeological mosques and historical schools, such as Arhab mosque and the Crater Mosque in Aden. Holy Quran schools, scientific institutes and Islamic universities were not safe from shelling and destroying. Furthermore, historical and archaeological sites in Taiz and Marib were targets of the coup’s alliance. Not only local customs or laws, but also international law, criminalize targeting and destruction of mosques, places of worship, hospitals, archaeological and cultural sites during armed conflicts. Article 27 (4) of Annex IV of the Hague Convention of 1907 stipulated that: In sieges and bombardments all necessary steps must be taken to spare, as far as possible, buildings dedicated to religion, art, science, or charitable purposes, historic monuments, hospitals, and places where the sick and wounded are collected, provided they are not being used at the time for military purposes. Article 22 of the same agreement has also prohibited directing attacks against historical monuments, works of art or places of worship clearly recognized which constitute the cultural or spiritual heritage of peoples. Article 56 of the 1954 Hague Convention prohibits the "seizure or destruction of facilities dedicated to worship ... and historic buildings". Article 53 of Additional Protocol I and Article 16 of Additional Protocol II to the Fourth Geneva Convention, 1949, provide for "the prohibition of any hostile acts against historical monuments, works of art and places of worship that constitute the cultural and spiritual heritage of the people".